Hawaiian Paradise with panoramic mountain views, mature landscape, artificial lawn, and "Russian Hedges" await you. Enjoy those hot summer days laying out by the pool or those cool desert nights around the fire pit. When you are done relaxing in your one of a kind backyard, step inside and see what this home has to offer. 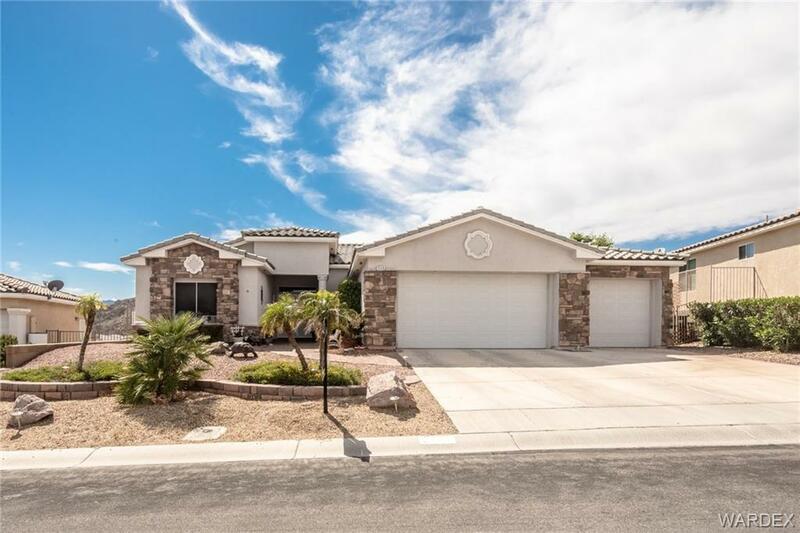 Beautifully upgraded home features 18" travertine tile, crown molding, plantation shutters and surround sound in the living room, 2.5" faux wood horizontal blinds in bedrooms, and ceiling fans in every room. Call and schedule your viewing today to see all the amenities this home has to offer!